My workshop experience took place at Vermont Violins, USA. This experience has been very important and it has had a big impact on my future as a luthier. Firstly because I have learnt a lot about lutherie; not only theory but also about how big the tradition of lutherie is, and the importance of preserving it. There I was trained by James Banicki. He is a maker from Chicago who has worked as a restorer in some of the oldest and most important workshops in America. 80% of my work at Vermont Violins was with instruments from their rental programme. These instruments needed new setups, so I did a lot of set up. Also, many of them needed all kinds of repairs which had to be fast and precise, so James gave me a lot of new ideas about new ways to make quality repairs easier and faster. In addition, I was working restoring old instruments. 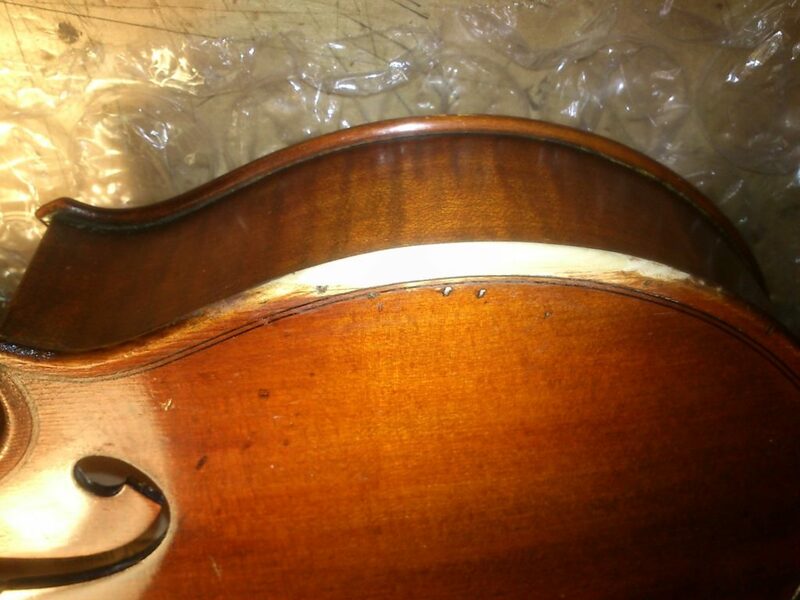 I repaired an old instrument from America, repairing cracks and a neck reset. There in the shop they produce some new instruments and I took part in one of these, and I learnt from James many different ways that could be more effective and easy. There in Vermont I worked many hours and very hard, and with a lot of different instruments. Before going there I didn´t feel very self-confident about being able to work so hard to a good standard, but once I have finished I have to say that I was able to do it, and that cheered me up to carry on with the lutherie, feeling more confident and believing in my own skills so that I can make any instrument sound good. I just need time, hard work and creativity.